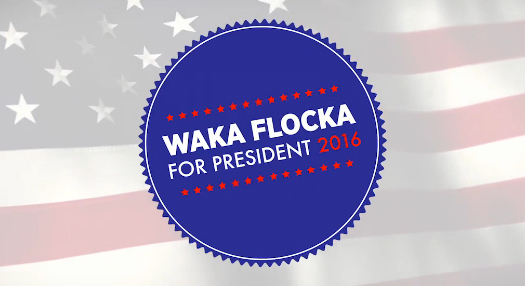 Rolling Stone has released a video of Waka Flocka Flame answering questions about his run for Presidency next year. The “campaign” originally started on Twitter in 2012, when Waka tweeted that he would be running in 2016. Check out the original tweet and footage below.